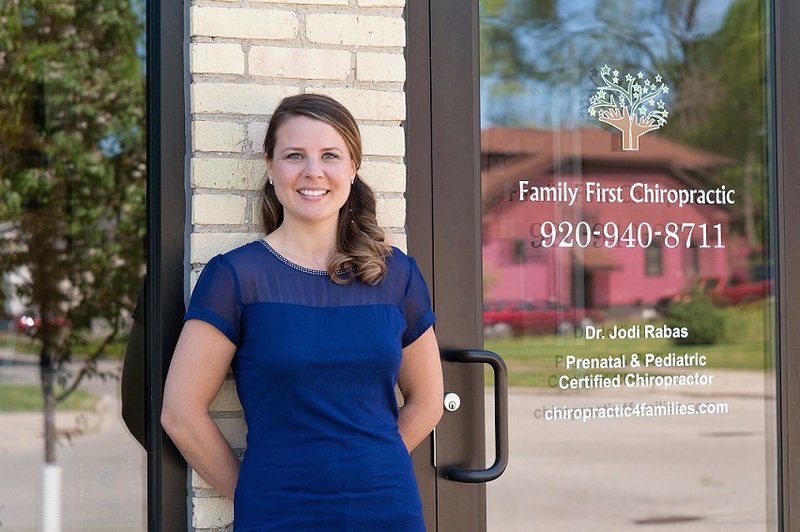 Dr. Jodi grew up in Algoma, WI, graduated from Ripon College with a degree in Biology, and obtained her doctorate in chiropractic from Palmer College of Chiropractic in Davenport, IA. She worked as a chiropractic intern at The Healing Arts in Sheboygan, WI before moving out to Independence, OH for the opportunity to join Ramsey Family Chiropractic Center. After getting some great experience learning from some of the best chiropractors in the profession, Dr. Jodi decided to move back to the Green Bay area where she grew up to share what she has learned with community she loves most! Dr. Jodi has experience taking care of patients of all ages; however, she especially enjoys working with pregnant moms and kids. She has completed a series of post-doctorate classes and has received a certification in Webster’s Technique and pediatrics through the International Chiropractic Pediatric Association (ICPA). While in Ohio, Dr. Jodi was fortunate enough to work with many pregnant women and was able to submit research on the Webster’s technique and chiropractic care during pregnancy. To learn more about chiropractic research, check out icpa4kids.org. In Feb 2010, Dr. Jodi was fortunate enough to go on a chiropractic mission trip providing care to the under-served people of Casablanca in Morocco. She describes this as one of the most rewarding experiences in her life and hopes to do more mission trips in the future. Dr. Jodi enjoys softball, volleyball, skiing, biking, tennis and completed her first triathlon in June 2011. She also loves traveling, dancing, theater, and spending time with family. After a rough gymnastics injury at 8 years old, chiropractic is what got her up and running again. She is very grateful to have experienced the benefits of chiropractic from a young age and is eager to help others discover their potential through chiropractic and a wellness lifestyle. Dr. Jodi would love to learn about you and how she might be able to help you reach your full health potential. For a complimentary, no-obligation consultation, please call the downtown Green Bay office at (920) 940-8711.